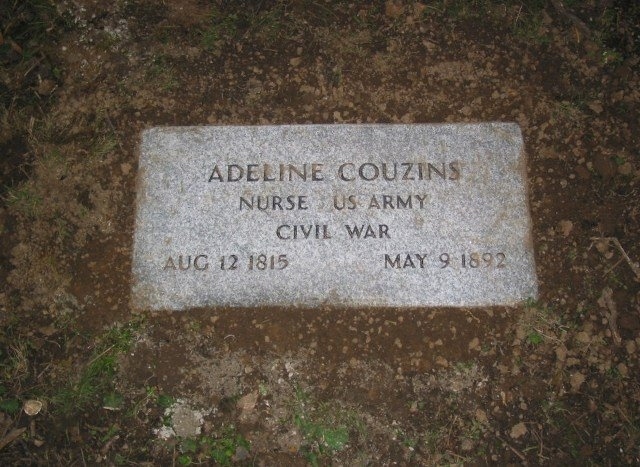 Adeline Couzins was wounded at Vicksburg. How is that possible you ask, her being a woman? Because during the Civil War, she followed the action to help where help was needed. She was one of the founders of the St. Louis Ladies Union Aid Society, a group of women who came together to help soldiers. What that meant for Adeline was greeting trains full of wounded soldiers, organizing efforts to collect and make supplies, travelling to battlefields to remove and care for soldiers, and going all the way to the front lines to help. It took a special act of congress to grant Adeline Couzins her pension for service. On October 1, 1888 congress granted her $30 a month, equivalent to about $710 by today’s standards. She is one of few women who received a pension for Civil War service. View her service record here. 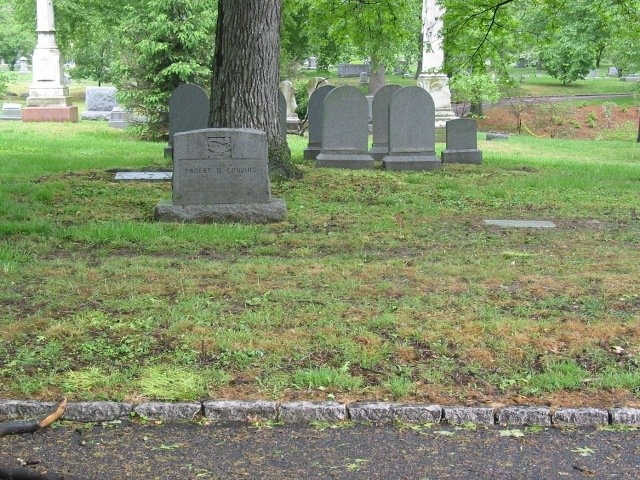 She is buried in Lot 919, block 117 in Bellefontaine Cemetery. View a picture of Adeline Couzins from the Missouri History Museum collection.